Our second vintage Mac also comes from Freecycle! 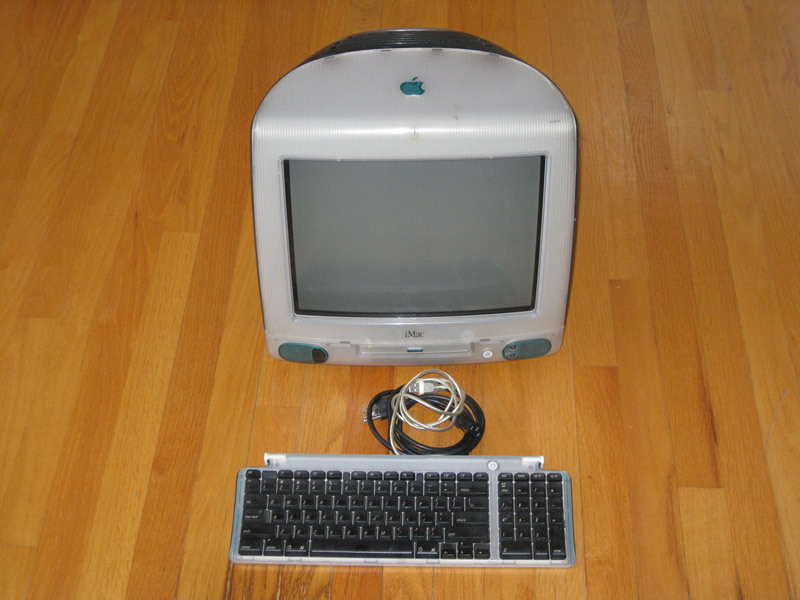 We haven't seen any other old Macs listed on Freecycle since the last one we picked up, so we haven't missed out on any. It doesn't seem like they're listed too often either. Unfortunately, this iMac didn't come with its original puck mouse or power cord. Ah well, can't beat the price!